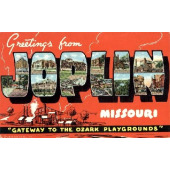 The city of Joplin, Missouri, is home to 220 nurse practitioners (NPs), 2,080 registered nurses (RNs), 450 licensed practical nurses (LPNs), and 820 certified nursing assistants (CNAs). Many nurses in the metropolitan area earned their degree or certificate at a nearby college or university. One of the best local options is Missouri Southern State University. The school’s bachelor of science in nursing (BSN) students recently posted a 100% first-time pass rate on the National Council Licensure Examination for Registered Nurses (NCLEX-RN). Other top schools in Joplin include Franklin Technology Center, Carthage Technical Center, and Crowder College. All three schools offer a state-approved LPN program. Missouri’s aspiring RNs typically pursue either a BSN degree or an associate’s degree in nursing (ADN). They must then earn a passing score on the NCLEX-RN national licensure exam. RNs on the path to becoming an NP or other advanced nursing role typically hold a master of science in nursing (MSN), doctor of nursing practice (DNP), or doctor of philosophy (PhD) in nursing. NPs must also specialize in a chosen focal area. Common NP specialties include family, neonatal, pediatric, adult, geriatric, and women's healthcare. Aspiring LPNs must complete a state-approved associate’s degree or certificate program, typically requiring 1-2 years of fulltime study. Graduates must also pass the NCLEX-PN national licensure exam. CNAs must complete an approved training program. These are typically 100 hours in length, and they prepare graduates to take the state certification examination for nursing assistants. Graduates of Joplin’s nursing programs are prepared for positions at major area hospitals and health systems. The city has many highly regarded healthcare employers, such as Mercy Hospital Joplin, Freeman Health System, Landmark Hospital of Joplin, and Children’s Mercy Joplin. Salaries at these healthcare centers are strong. For example, local NPs average over $90,000 in annual pay. High performers frequently earn more than $100,000 per year. The average local salary is approximately $49,000 for RNs, $34,000 for LPNs, and $23,000 for CNAs. If you want to get your nursing career off the ground, the first step is to enroll in the right program. We’ve compiled below a list of the top nursing schools in Joplin, Missouri, to help you get started.